How do you identify the right app developer for you? The competition is really very tough and thousands of freelance app developers are ready to grab your attention at much discounted prices. However, if you’re looking to have a perfect project, you need to have the right mobile app developer – and choose the best among the rest. 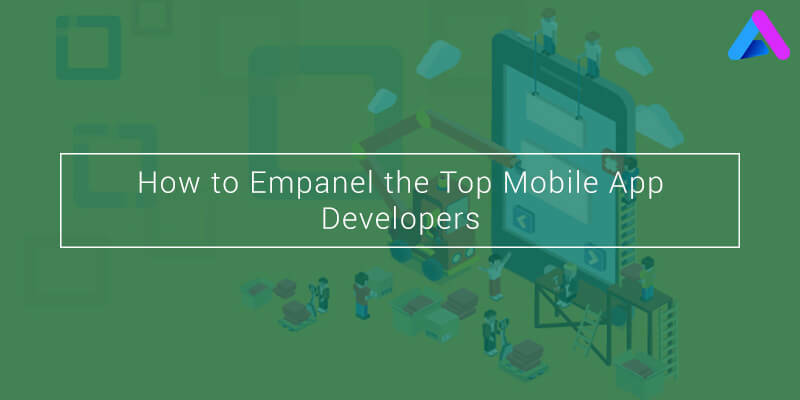 Here are a few steps which will help you hire the top rated app developers. UI and UX are the most talked about factors when it comes to app development. Before you get lured away by the attractive pricing of any freelance developer or any development company, make sure to have a look at their previous work. Hunt for the companies that have developed apps with top notch user interface. Can you show me your mobile apps developed in the past? Is your app registered on the app stores? Can you provide the names of all the previous companies and clients that you have worked with? How will you communicate during the process of development? Can you give me a brief layout of your plan of action? Remember that answers to these questions are very vital and only go ahead with the developer who answers these questions in the most precise manner. In order to have the right developer on board, it is really important to find a developer with the right skills and attitude. Although, it is tough to find a developer who has expertise in both objective C and Java, but app development companies would be the perfect choice in this case. What you can do is you make them write a few codes and you can get them reviewed by any expert on your part to assure yourself. The industry is full of freelancers with less or no experience at all who are willing to work for peanuts. Always remember that your goal is to create a good app, not a cheap app. You may save a few bucks when you empanel a cheap developer, but if the app does not turn out as expected, you might end up frustrated and wasting money later on in order to get it rebuilt by another proficient developer. Always hunt for developers who are active in the open source development communities as it is quite feasible to get connected with them, ask questions, review their previous work. This would help you to know the developers better because clients as well as industry experts stay active on these open source communities and they also provide their inputs about the different developers. If you are looking for a competent, professional, and a reliable mobile app developer, there is a huge probability of finding the same within your network. What you have to do is just inquire about the developers who are free; talk to them, analyze their portfolio and negotiate on the price. This in turn would ensure that the person you hire is reliable and trustworthy. All the above stated points are more than enough to judge the capabilities and potential of an app developer and would prove very effective in your search of a perfect mobile application developer. Still pondering how to find a good app developer? AppInventiv Technologies is the most sought after mobile app development company in India providing top grade iphone and Android application development services across the globe. AppInventiv has been ranked No. 1 in Appfutura which is the most revered community for app developers. It has the best developers and designers who have a brilliant expertise in mobile app development service.